Each week following Raw, Diva Dirt Weekly will take a look back at the week preceding it, hitting every noteworthy women’s wrestling event along the way. Joining the audio will be Chris, Erin and our host Jake. Impact Wrestling (3/8/16): Gail Kim defeats Jade to retain the Knockouts Title. Lucha Underground (3/9/16): Mariposa debuts; Taya Valkyrie is defeated by Cage in a No DQ match. WWE Roadblock (3/12/16): Charlotte defeats Natalya to retain the Divas Title. Raw (3/14/16): Naomi and Tamina defeat Alicia Fox and Brie Bella thanks to interference from Lana. The WWE confirms that Jacqueline will be inducted into the WWE Hall of Fame in the Class of 2016. 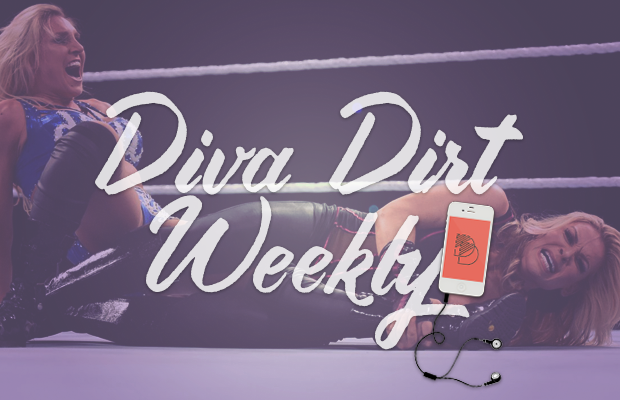 Listen to the songs featured on Diva Dirt Weekly on our Spotify playlist.